Discover our unique mountain culture on an extraordinary luxury retreat. Relax in elegant accommodation and allow private guides to show you the best skiing and riding Whistler Blackcomb has to offer. Browse exclusive shops and galleries and take advantage of exceptional exchange rates to indulge in world-class spas, dining and nightlife in Whistler Village. Our Whistler based Travel Consultants are ready to plan your next 5-star adventure. Call 1.866.899.7965 for personalized planning assistance. From luxury condos, private chalets and globally recognised and respected hotels you’ll find a home away from home waiting for you in Whistler. Expect only the highest quality in amenities from ski in, ski out access to ski valets and rentals, spas, dining and concierge services at your fingertips. Whistler’s Official Central Reservations can offer a personalised booking service that takes care of your complete vacation. Our Travel Consultants offer a wealth of local knowledge, inside information and the ability to customise every last detail to your satisfaction, from renting your ski-in, ski-out luxury hotel, condo or chalet to arranging ski valet services and unforgettable activities for the entire family. Stay and play in the luxury you deserve from the highest levels of comfortable accommodation with concierges to take care of every last detail. Relax and enjoy the services that make a ski vacation so rewarding - private chefs, dog walking, personal shopping services, in-room spa services and more. Whistler Blackcomb’s immense terrain can take years to master. Private instructors not only help fine-tune your skiing or boarding techniques to take on more challenging terrain but provide you with the ultimate guide to the mountains. Make every turn count - discover hidden powder stashes, Olympic-quality speed runs and the best glade skiing on the mountains for the ultimate ski experience. 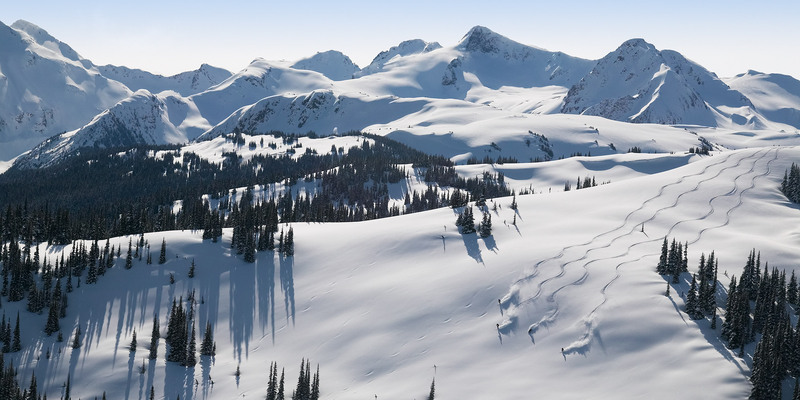 Or, take it up a level and leave the lifts behind to experience heli-skiing in British Columbia with multiple day tours available from within the resort. Whistler’s culinary scene is exciting and constantly evolving, with multiple fine dining establishments each boasting a signature dining experience. Deep cellars, innovative chefs and access to a bounty of fresh local produce combined with knowledgeable hosts to create a dining scene with flavour all of its own. It’s an edible education, all in a single alpine village. Experience the excitement as a team of high-energy sled dogs pulls you through the forest, feel your heart race as the flightseeing helicopter lifts you over the mountain peaks or relax into the heat of a private mountain top hottub as the snow falls softly through candlelight. Whatever you desire, Whistler offers endless ways to experience Canadian winters with the options limited only by your imagination. Life in the mountains is as intense and vibrant as the people who live here and Whistler is a one-of-a-kind place where passionate locals and international visitors mingle. You can sense that difference everywhere - the excitement in the village when the snow is falling, the exhilaration of a pow day on the mountain and the shared good times on the sun-drenched patios and boot-stomping après-ski sessions. Allow yourself to see the real Whistler and experience first-hand the raw energy of life in the mountains. Living a life without limits? Here's the Insider's guide to doing Whistler the right way. 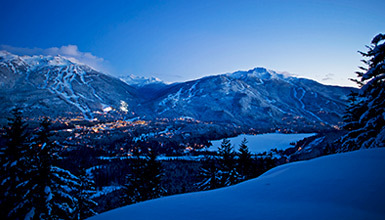 From high end accommodations to the best dining spots and unique winter experiences, Whistler is an extraordinary resort.